This 5 Bill 5 Coin Cash Register Drawer Box is compatible with Epson/Star Pos printers. Metal material makes the drawer more reliable. 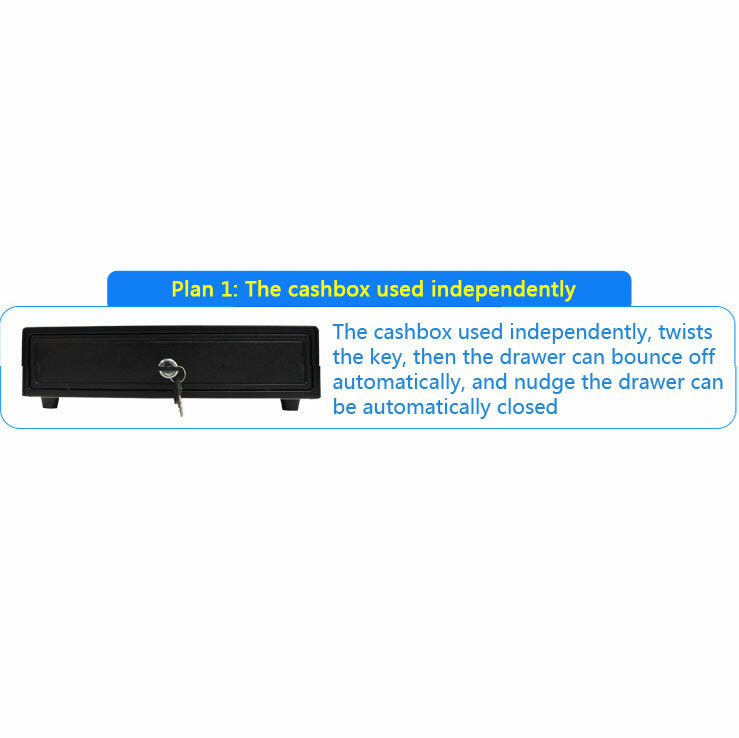 The drawer's front panel features a slip deposit slot and you can open the drawer with a key or via POS printer connected to the the cash drawer with RJ11 cable included. Large capacity, with five bills and five coin storage compartments, it maximizes counter space,removable coin trays for easy operation. If you use it at home, you can lock the cash box with the key; if you use it together with the ticket printer, it will lock automatically. Made of high-grade material, uneasy to rust or break;the bill clips are spring-loaded to keep bills securely in place, but allow for easy removal as well. With a modern and elegant look, this cash drawer is perfect for restaurants, supermarkets, stores, coffee house and any other commercial spaces.